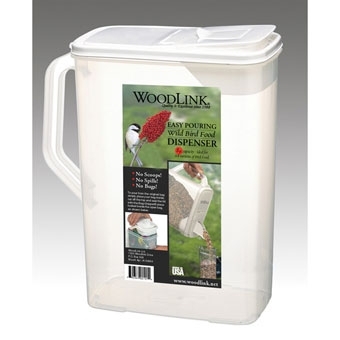 8 quart easy pouring wild bird food dispenser. Patented Dual-Pour container. Great for birdseed, pet food and pet litter. No scoops! No spills! No bugs! Easy to fill and pour.